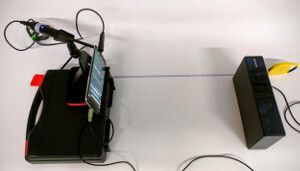 This new suite of tests requires human intervention and some external hardware including a Loopback Plug, a USB reference microphone and external speakers. 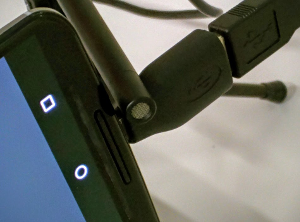 For devices without 3.5 mm (⅛”) headset port, the user will be able to skip the test and mark it as successful. See the sections below for details. Round trip latency in audio is defined as the time it takes an audio signal to be recorded, processed and output back. 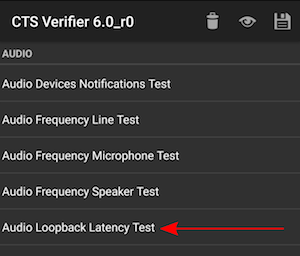 To measure round-trip latency using CTS Verifier, connect a loopback plug to the 3.5 mm (⅛”) headset connector. 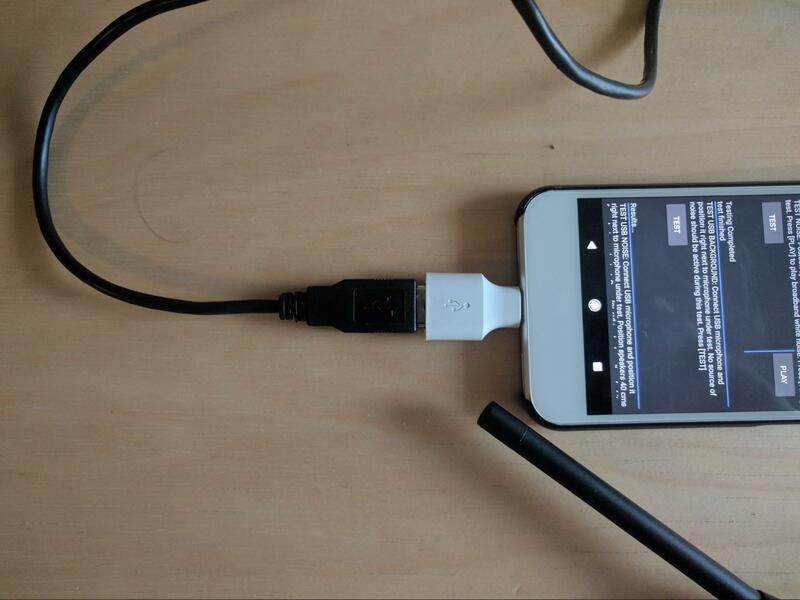 (If you don’t have a loopback plug, you can easily make one following the Audio Loopback Dongle instructions. 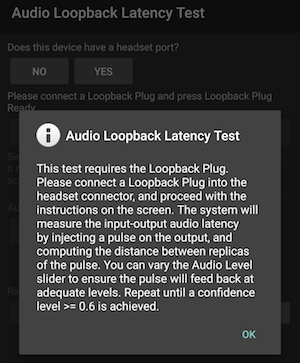 If the answer was YES in the previous step, continue to connect loopback plug. Press the Pass (green, only available if successful) or Failed (red) button to record the results. 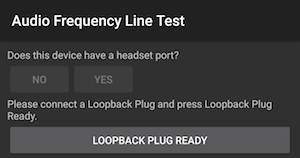 Using a loopback plug, this test will characterize the left/right line audio output and use the mic feedback from the plug to capture audio and compute a frequency response for each channel. A simple criterion for minimum energy expected in each band (out of four) is applied per channel. 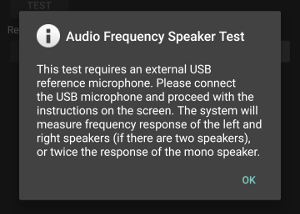 This test uses the signal captured by an external USB reference microphone to assess the frequency response of left (and right, if it exists) loudspeakers. A reference microphone is defined as that one that delivers flat, uncolored response. They are often used for analysis and measurement equipment. There are some inexpensive USB Reference microphones (e.g., miniDSP USB Measurement calibrated microphone, Dayton Audio UMM-6 USB Measurement Microphone), mostly used for the home theater enthusiasts to calibrate their setups. 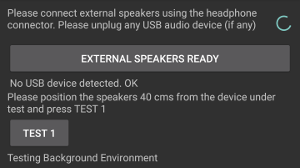 The key element here is that a step for calibration (using the USB reference microphone) is performed, to estimate the actual response of the speakers, thus have a solid reference to compare the built in microphone against. 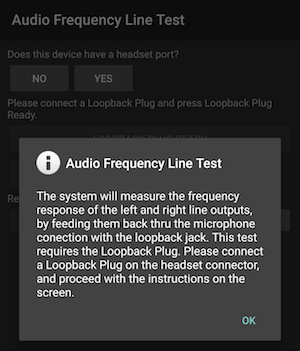 If the answer was YES in the previous step, continue to connect external speakers. Wait several seconds for test 1 to complete. When test 1 is completed, results for the built in microphone are shown. 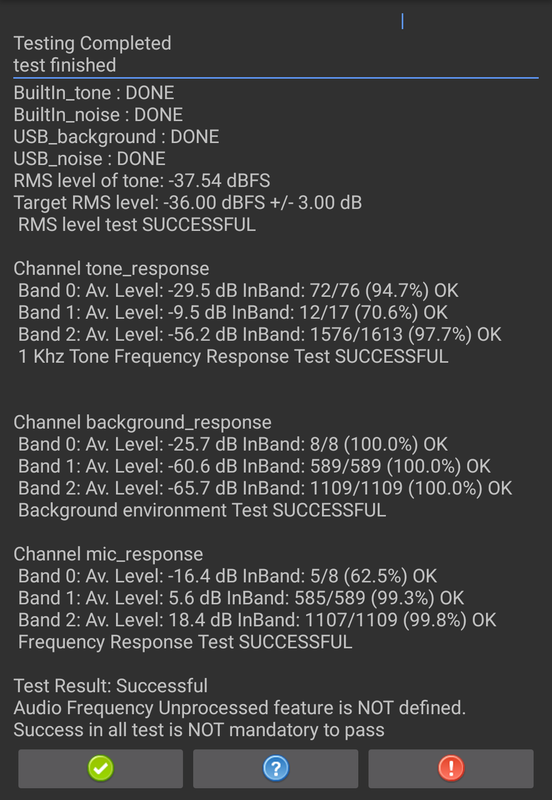 When test 2 is completed, results for the USB reference microphone are shown. Press the Pass (only available if successful) or Failed button to record the results. 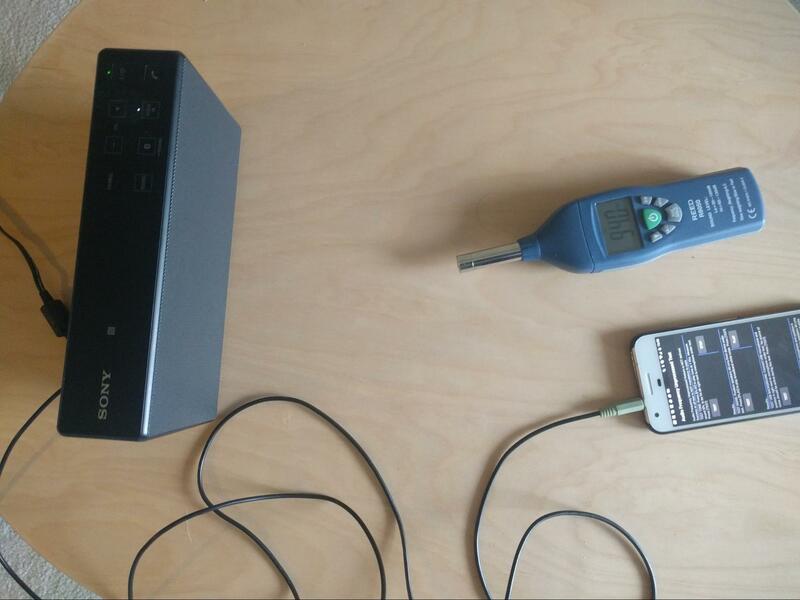 For this test, in addition to the USB reference microphone and external speakers, it is necessary to have access to a Sound Pressure Level Meter (SPL Meter). 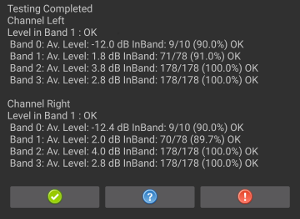 Also worth mentioning, in this test the Playback and Test parts of each test have been given their own button. 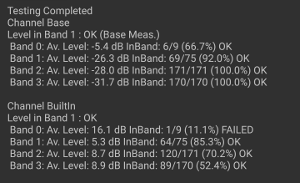 This was done to help test certain devices which don't have easy playback capabilities, but still can test the recording source UNPROCESSED. Start CTS Frequency Unprocessed Test. Set up DUT in a quiet room. 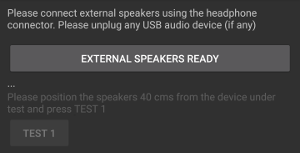 Connect external speakers using the headphone/line out connector (make sure there is not any USB microphone connected). Press [PLAY] and move the SPL meter on front of the speakers until the level read is 94 dB SPL. 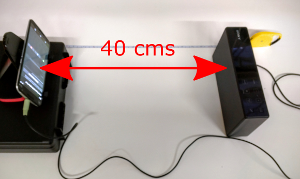 Move the SPL meter in a straight line from the speakers back and forth, until the level read on the screen is 94 dB SPL. Make a note of this location. Move the DUT and place the microphone in about the same location found in the previous step. Press [TEST]. The DUT performs a short audio capture and automatically stops the playback. Playback can also be stopped by pressing [STOP] if needed. 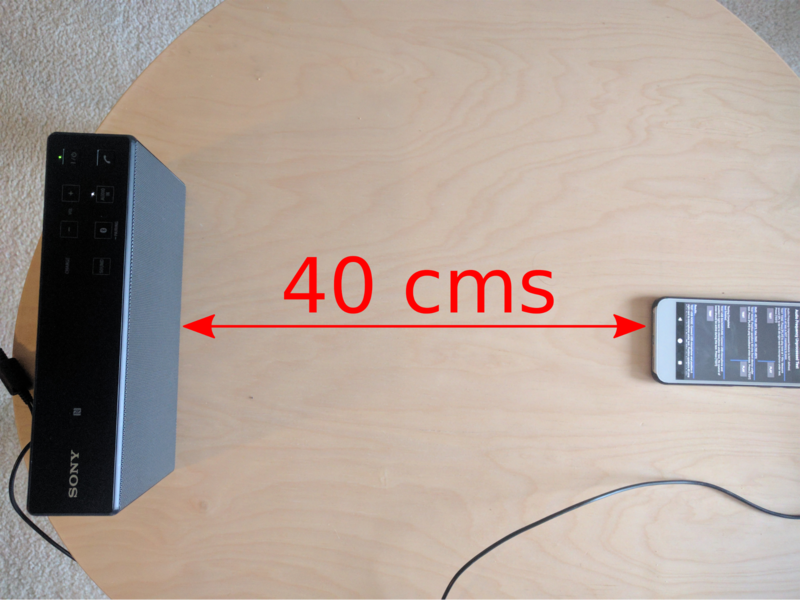 Position the speakers 40cm perpendicular to the center of the screen of the DUT (see Audio frequency microphone test). Press [PLAY]. Press [TEST]. Wait for the test to complete. It will automatically stop the plabyack. 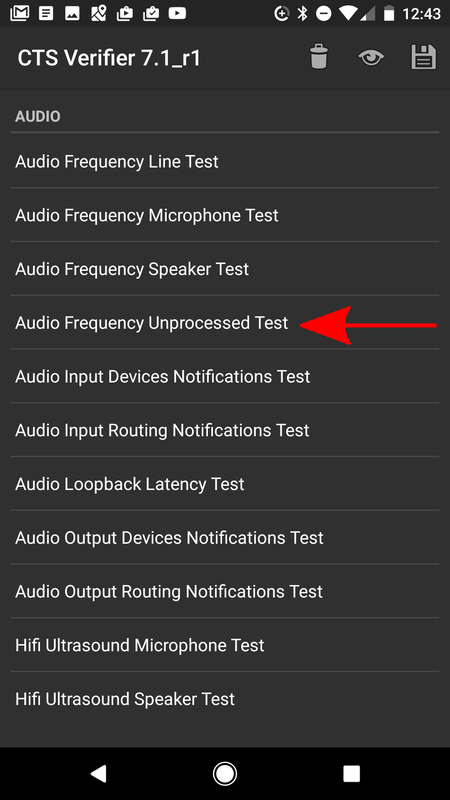 Playback can also be stopped by pressing [STOP] if needed. 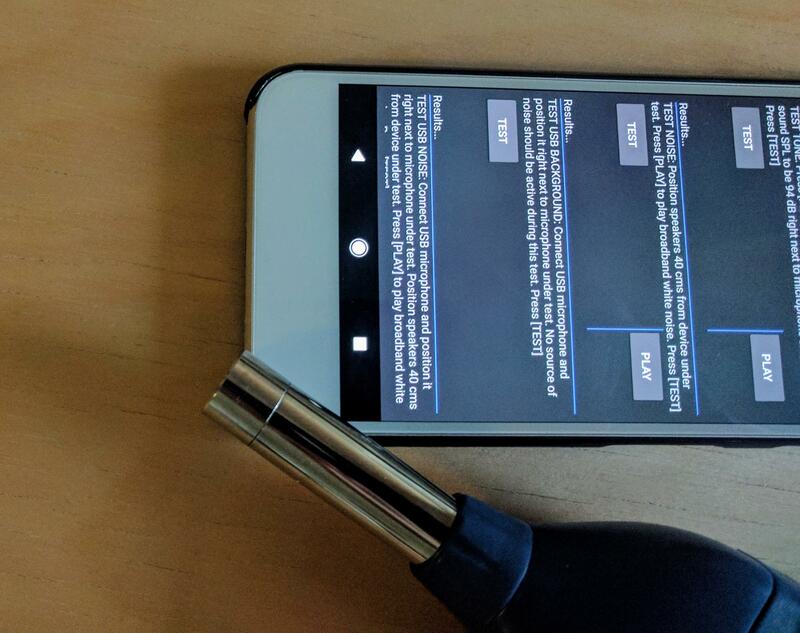 This runs a short test and displays results on screen. 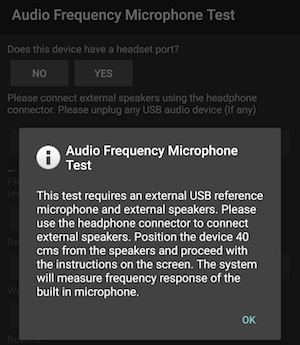 Leave USB microphone in the same position as in the previous test. Press [PLAY]. 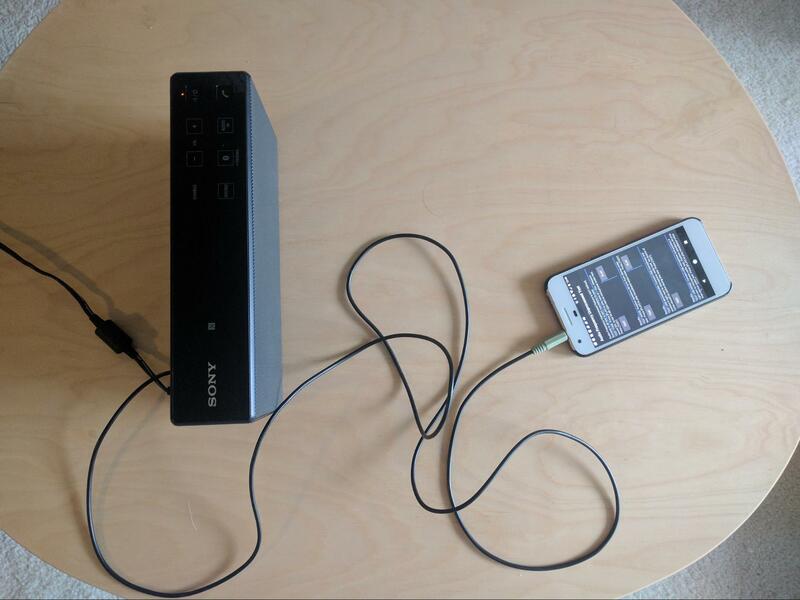 Broadband noise should play from external speakers. Press [TEST]. 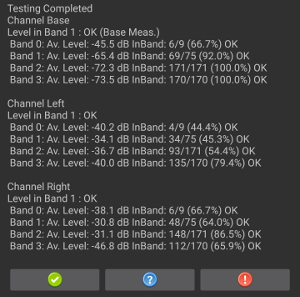 A short test will run and display results on screen. . When the 4 parts of the test are completed, the global results are updated with PASSED/FAILED information for each test. If needed, repeat individual steps of the test. Press the Pass (only available if successful) or Failed button to record the results. 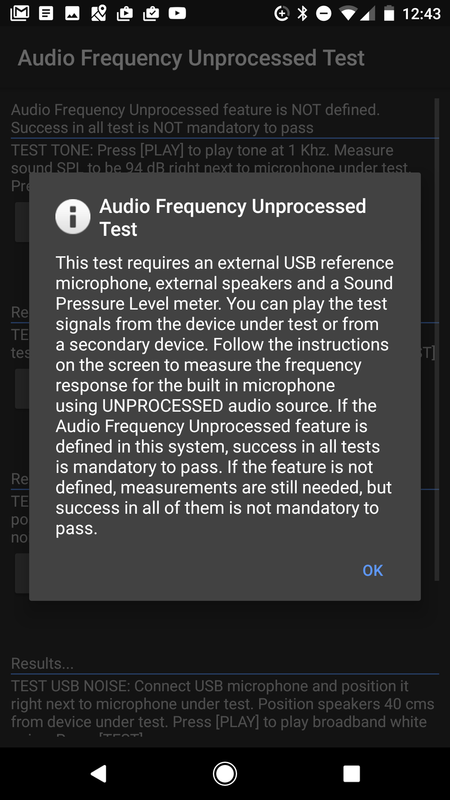 If the DUT does not define the Audio Frequency Unprocessed feature, running the test is required, but success in all measurements is not mandatory.